Summer is officially coming to a close with Labor Day happening this Monday. So before you check out for the long weekend, here are the latest social media updates you should know about. Facebook Adds Video to Messenger: Facebook Messenger users can now insert real-time video into their conversation threads. Unlike video chatting, this new feature allows users to insert short videos in much the same way they would insert a photo into a conversation. The feature is eerily similar to the video chatting feature available on Snapchat. Instagram Adds Zoom to Viewing: Instagram users can now zoom in on images in their feed, on profiles, and under the Explore tab. 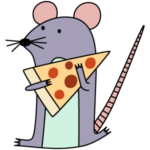 Snapchat Introduces Geostickers: Snapchat just added geostickers, location-specific stickers that can be sent in chats or added to snaps. Like geofilters, geostickers are only available if a user’s location services are enabled.